1. 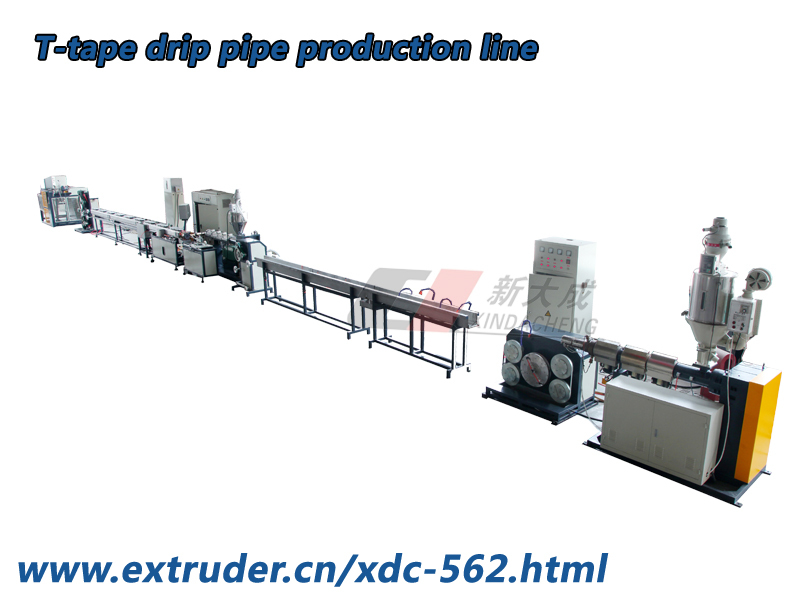 Inner flat drip irrigation pipe production adopt the produced dripper. So you need to in lead a set of dripper mould for dripper production or you can purchase the dripper from other manufacture. T-tape drip irrigation pipe production line inner article labyrinth is together extrusion welding molding together with the pipe. 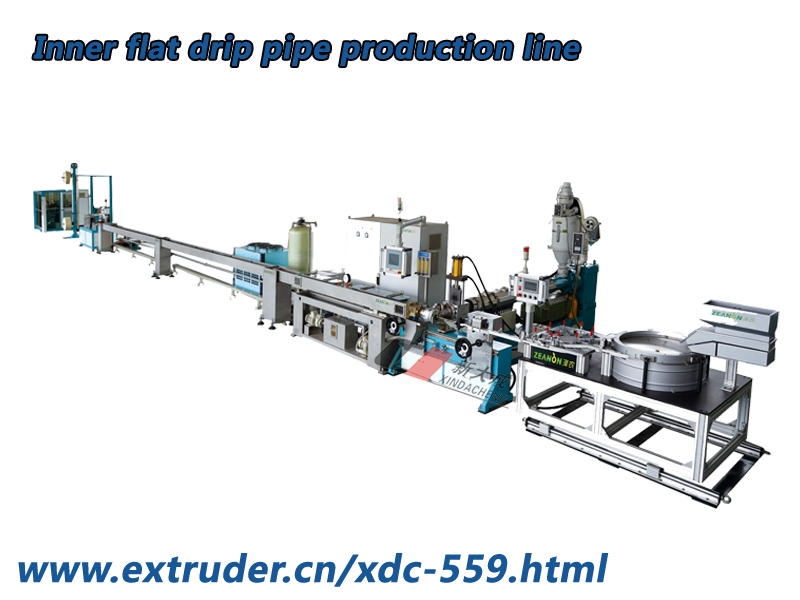 One extruder for inner article labyrinth extrusion should be equipped on the production line. 2. The flat drip irrigation pipe production line dripper distance and flow-rate is flexible adjustable. It will only need to adjust several parameters on the PLC to adjust the dripper distance. For the T-tape pipe production line, one forming pressure roller can only produce drip pipe of the same flow-rate and same dripper distance.